SAN CARLOS, Calif. /California Newswire/ –Teachers, parents, and students of California’s founding charter school will run from San Carlos to Sacramento to capture attention for the dismal level of public education funding in the state. The 140-mile relay run, called the Run for Funds, by the San Carlos Charter Learning Center begins May 16. It culminates with a rally at the state capitol building on May 18, the day before the statewide vote on Propositions 1A, 1B, and 1C, which affect money allocated for K-14 education. The runners say that because the San Carlos Charter Learning Center is the state’s original public charter school, they have a mission to literally lead a charge through the streets to bring this message to California lawmakers. “We are running on behalf of all public charter schools in California and for public education and educational choice in general,” said Chris Mahoney, director of the San Carlos Charter Learning Center, known as SCCLC. Mahoney noted that runners from other schools along the route are expected to join the group along the way. Ted Lempert, president of Children Now, said: “We all understand that children are our future and yet as a nation, we are not investing in their wellbeing. California’s lack of emphasis on school funding is an example of what’s wrong. I commend this effort to make public education a priority for the legislature and the public.” Children Now, based in Oakland, is a national non-profit organization for people who care about children and want to ensure they are the top public policy priority. SCCLC must raise $40,000 in order to ensure it can open for classes in September. The school seeks to raise another $60,000, as well, to preserve Spanish-language and library programs. In addition to capturing awareness for public education funding, the Run for Funds is a fundraiser for the school. To join in the event, please e-mail: getinvolved@scclc.net. For more information on the Run for Funds, visit: http://run4funds.scclc.net/. The non-profit San Carlos Charter Learning Center, a public K-8 school, and its affiliated 501 (c) (3) San Carlos Charter Learning Center Fundraising Association are located at 750 Dartmouth Ave., San Carlos, Calif. 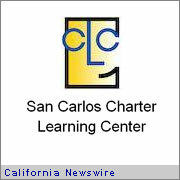 The San Carlos Charter Learning Center opened in 1994; its web site is: www.scclc.net.